In a time when ideas of definitions, boundaries, representations and interpretations have gained an almost unparalleled fluidity, a subjectivity that perhaps previous modes of knowledge production and exchange did not allow, thinking about the very essence of meaning-making (or what in fact ‘meaning’ may in itself be) becomes a layered and complex exercise. However, simultaneously, it is precisely this time, at this juncture in the 21st century where the critique of globalization and technology sees at its forefront ideas of separation and alienation (antithetical to the very function that these were ‘meant’ to perform), where war and conflict have led to the almost unrivalled movement and migration of people, bringing notions of displacement to stand at the very heart, as one of the defining dialogues and characteristics, of this era – it is precisely at this time that human beings turn with agency towards the search for meaning, towards that which can be deemed ‘meaningful’. Is it then that to seek and to have ‘meaning’ defines the very core of the human exercise? That in fact it is meaning which defines us, and not the other way around? Viktor Frankl (author, psychiatrist and holocaust survivor) would probably agree (to a larger or greater degree). In his 1946 book, Man’s Search for Meaning, he asserts the view that it is in fact the primary motivation of a human being – perhaps as critical as the difference between choosing life and death – to seek and find that which is meaningful in his/her life. Frankl is often compared to his predecessor Sigmund Freud, in that both physicians have found at the core of their concerns the nature and rehabilitation of neuroses. For Freud, this finds itself rooted in a frustration with ideas of sexuality; for Frankl a frustration with or collapse of the “will-to-meaning”[i], where if the idea of meaning in one’s life (which in turn leads to a sense of attachment and responsibility to that life) is lost, so is the will to live. Frankl’s logotherapy finds its basis in this conception, and is founded out of his own experiences as a survivor of the horrors of the holocaust. In this time then, where the impact of war and sustained conflict have changed the face of humanity’s view of its own existence, Frankl’s story (though manifesting in a different form) of the making of meaning in the most dire and horrific of circumstances, of being faced with the absolute and extreme fact that one has “nothing to lose except his so ridiculously naked life”[ii], rings profoundly true. Can we then further posit that it is in fact the extreme impossibility of such situations that create the urgency towards meaning – that our drive towards this search for that which is meaningful is in direct relation to the damage and distress that we face? That it is in reality this very condition, when one is faced with one’s own life in its most basic of manifestations, i.e. that of its impermanence, that accelerates the exigency of the ‘will-to-meaning’? And further, that we are able to find a validation in this will towards this life through the knowledge that thousands of others will be able to share in this collective seeking, that for the many that will not be able to understand its profundity, there are also the many who will. Does the collective search for meaning make our search for it more profound, more meaningful? Sometimes, there are stories that go viral on the Internet. Social media makes sure we are kept abreast of these. Recently, one such story popped up on my newsfeed, and kept reappearing, each time shared by multiple individuals at a time. It had obviously touched hearts, perhaps even yours. This is the story of Tapoush the cat, who traveled with his refugee family from Syria to a camp in Idomeni, near the Greece-Macedonia border. A video shows footage of children in the camp playing with the cat, and of his owner Israa Aboud who speaks of how there is no life in the camp. But then there is the cat. Tapoush of course held meaning in the life of the young girl who is his owner to begin with, however this would be the meaning that is given to animals, to living creatures that we choose to take care of and that become a part of our everyday life, to whom we form emotional attachments. In this context however, with the horror of war and the terror of the passage, and the existence that follows, the cat is suddenly accorded with a new meaning. He becomes conferred with the entire weight of meaning from a past that is lost – a link to a life where there was food, shelter, security, comfort, love and most of all perhaps some semblance of ‘normalcy’. The cat is loaded with the meaning of the past, the present and the future all at once. He becomes symbolic of the ‘will-to-meaning’, in the face of a circumstance that seems almost inexplicable even as one lives it, in which one can find no meaning, only damage, destruction and despair. Tapoush thus comes to be filled with more meaning than he could ever have held, had his circumstance never changed. This impulse to bestow meaning upon that which is part of our everyday then also resonates in the way that meaning has (recently) come to be bestowed in art – as a manifestation of the time, and with a new symbolism that holds within it the abstract form of the meaning we seek, conferred upon it anew. 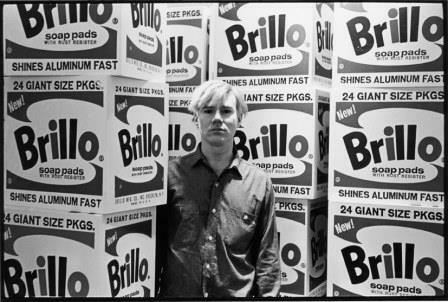 Such as when Duchamp declared the urinal to be a work of art, or Andy Warhol decided to present us with stacked cans of soup and Brillo boxes. The familiar that is meaningful. Which would throw us into the realm of another equally complex sphere: that of the making of meaning in art, or perhaps even more intrinsically, what is art to begin with; what is the meaning of art? Throughout the history of philosophical thought being centered on art, it had been understood that art could be immediately identified as such; that works of art had a strong identity that set them apart from the ordinary, that made them qualify to be called art. Distinctions were further made in this between the aesthetic that was art and that which was craft. Therefore furniture, which performed a function, could no longer be called art. In many ways, although this had of course been challenged/addressed before him, and after him, not least by the Modernists, and by the very fact of the advent of photography, it was in fact Duchamp that blew the institution apart. Art could be whatever it wanted, as long as it had been bestowed with an intent – given meaning. In his book The Transfiguration of the Commonplace, Arthur Danto argues towards a definition of art, where he asserts that “[…] works of art are always about something and hence have a content or meaning; and secondly that to be a work of art something had to embody its meaning. This cannot be the entire story, but if I could not get these conditions to hold, I am unclear what a work of art without them would look like.”[iii] The work of art then, by Danto’s hypothesis is always meaningful i.e. containing/embodying meaning. But what happens to this meaning when the circumstance/situation around the object shifts? In 1917, Duchamp conferred new meaning onto a urinal bought at a sanitary-wares store. The urinal came to embody the meaning of institutional critique, of defiance and of the cult of meaning and of meaning-making (versus the religion of prescribed aesthetics). Almost a century later, Fountain stands as one of the most canonical works of art in the world, decoded, analyzed, philosophized, historicized and recognized. 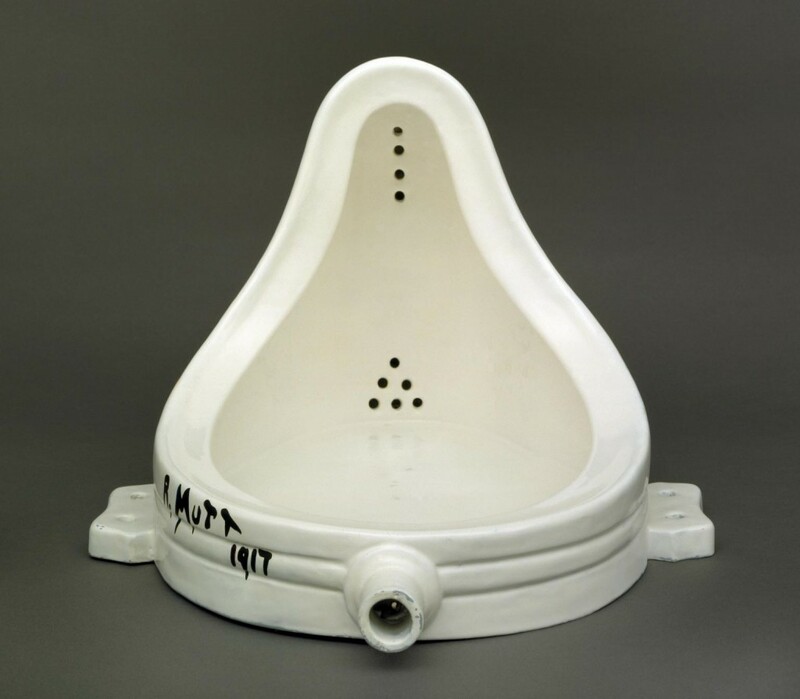 In its canonization, in its very acceptance, the meaning of the urinal changed – it became other than Duchamp’s original intent, which was in fact the very antithesis of what the urinal has come to mean to us today. In its original context, in 1917 when Duchamp submitted it to the Society of Independent Artists exhibit, the urinal was hugely provocative, scandalous even, or at the very least, unacceptable. So much so that it was originally showed behind a curtain in the main exhibition. A century later, the urinal is an institution, a landmark of the 20th century. It is no longer Duchamp’s urinal but in fact ours, as dictated by this world and its changing contexts. And although the meaning that was originally conferred upon it remains, recognized and accepted, what it has come to embody has shifted dramatically, as the world around it has shifted. Meaning then is itself as fluid as the subjectivity that this century has allowed it to have. It is not a static thing – it moves and shifts, taking on new life, changing with the circumstances that surround it and lead it into the future. Meaning evolves, conferring new life upon the thing that embodies it, and in doing so, in itself becomes like a living thing. The 20th century marked the juncture at which meaning came to supersede aesthetics, to trump the reign of beauty in art. It marked the triumph of postmodernism and its cold, cynical and purely intellectual thrust. Perhaps this is the greatest shift of the last decade (or so), of the 21st century and what it has brought to us, in the face of which meaning has come to be endowed with a kind of warmth. It has come to be meaningful, as a light against the darkness of despair and meaninglessness enveloping the world in this time. That which holds meaning for us can save us. But it cannot save postmodernism any longer. [i] Viktor E. Frankl, Man’s Search for Meaning, Fourth edition, Beacon Press, Massachusetts. Zarmeene Shah is an independent curator and writer, and Assistant Professor at the Indus Valley School of Art & Architecture in Karachi.